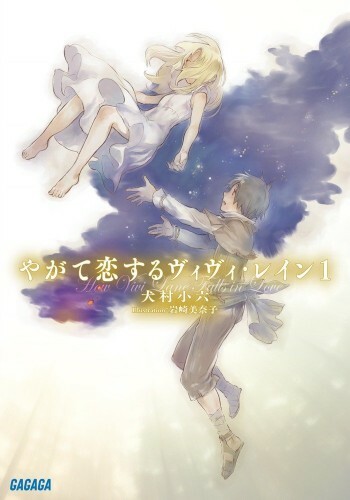 "Our protagonist is a boy named Luca, who catches a falling girl from the sky one day, as depicted on the cover of the first volume. The girl’s name is Sylphie, and she’s pretty much the mysterious damsel you’d expect to see in fantasy stories like this. She doesn’t stick around long, but she does give Luca the cryptic instruction “Find Vivi Lane, and you’ll be able to change the world”, which is what kicks the plot into motion...In his quest to find Vivi Lane, Luca encounters people who will either help or hinder his search – and it’s not quite clear yet who will be his friends and who will be his foes." 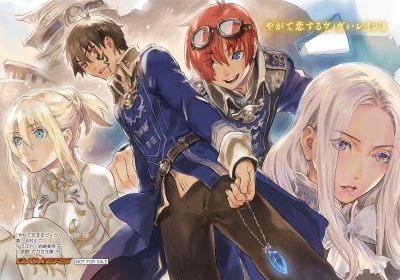 I love me a good fantasy-adventure series without isekai with some drama, romance and mecha thrown in. From Frog's review, this one sounds very emotional and heart-wrenching, which seems similar to World End/SukaSuka, which I loved. This is also by the author of The Pilot's Love Song and The Princess and the Pilot, for those who read/watched them. I never saw the former, but I liked the latter. I still need to read Hikuushi series by Inumura-sensei. Sounds great from the blog, would like to see this. Different than pretty much anything we have translated too.